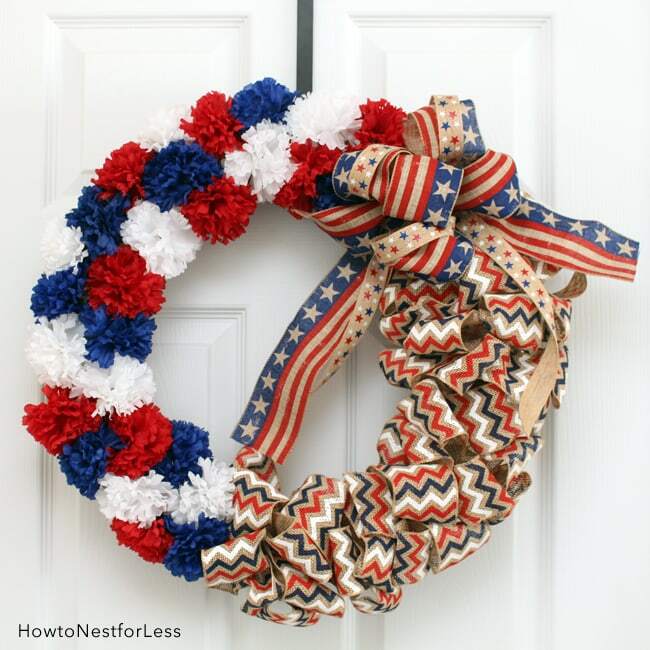 You know if I was a planner I totally would have done this wreath before Memorial Day so I could have used it this Spring. Oh well, instead I scored a bunch of my supplies on sale or clearance. I count that as a win in my book! 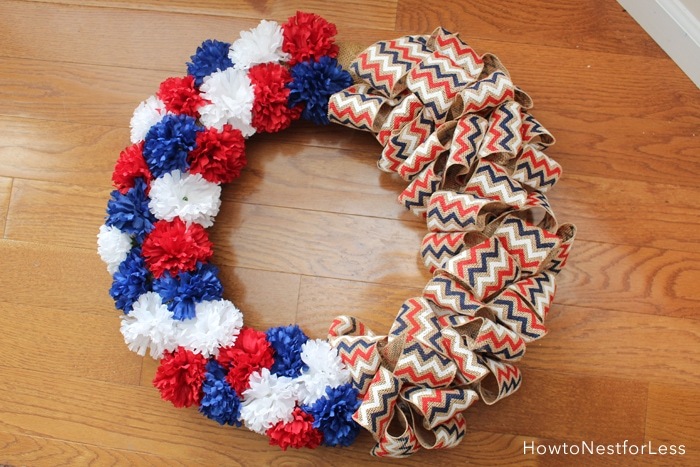 So in all 4 years of blogging, I’ve never made a patriotic wreath. Isn’t that sad? I figured it was about time that I got to work on this and decided to kind of mimic my Fall flower and burlap wreath. 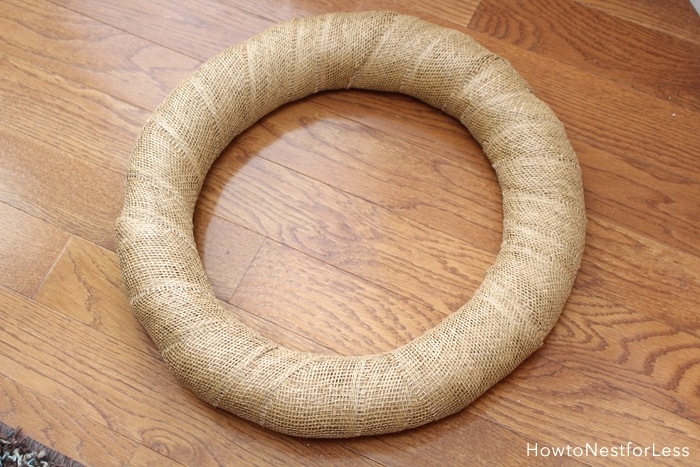 To get started I wrapped my wreath form in plain burlap. 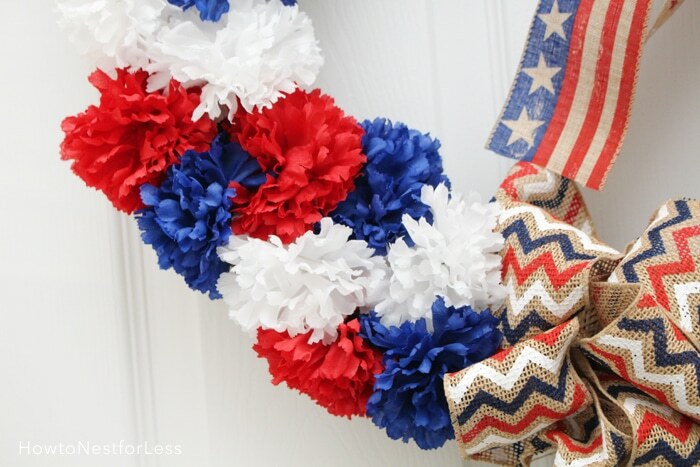 This just helps hide any mistakes and makes the whole wreath look cleaner. 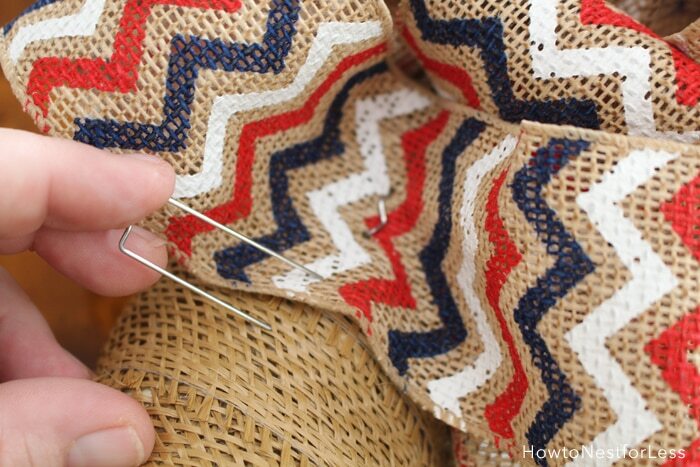 Next I started adding the chevron burlap. I basically just looped and pinned, over and over and over again. 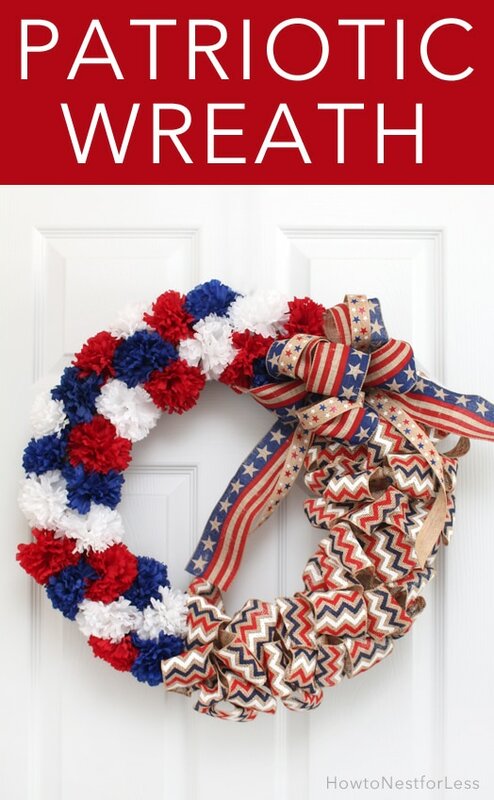 Only on about 1/2 of the wreath form though. The rest you’ll fill in with flowers. For the flowers, I took them off the stem. 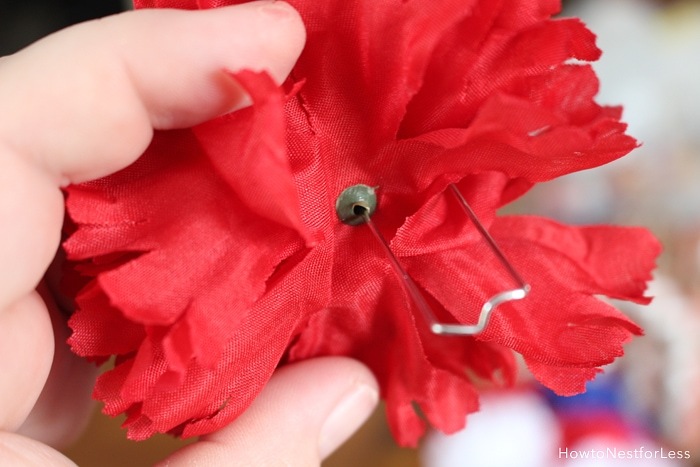 To stick on the wreath form I used a greenery pin and stuck one side through the middle of the flower where the stem used to be. Seriously the best trick ever. 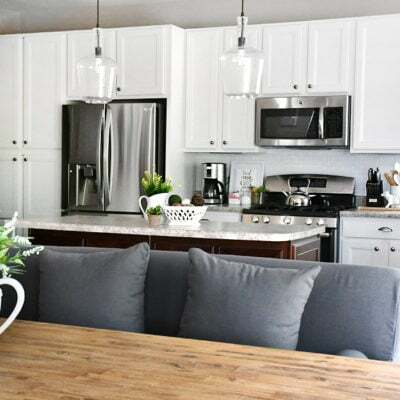 Those flowers won’t go anywhere. 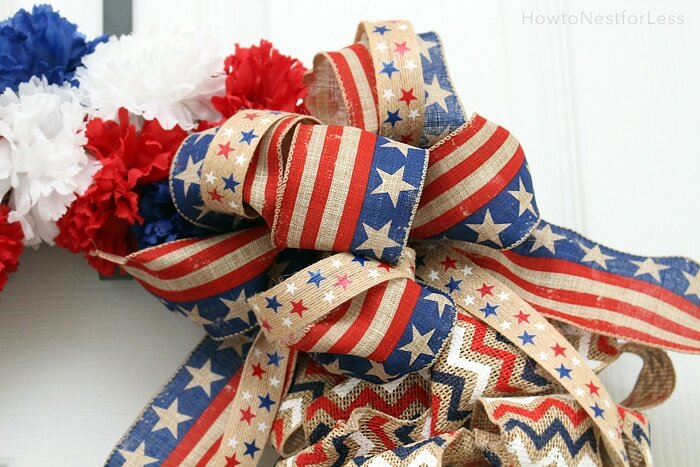 Next take your red, white and blue ribbons (I picked a thick and thin ribbon and looped them together in a big bow). 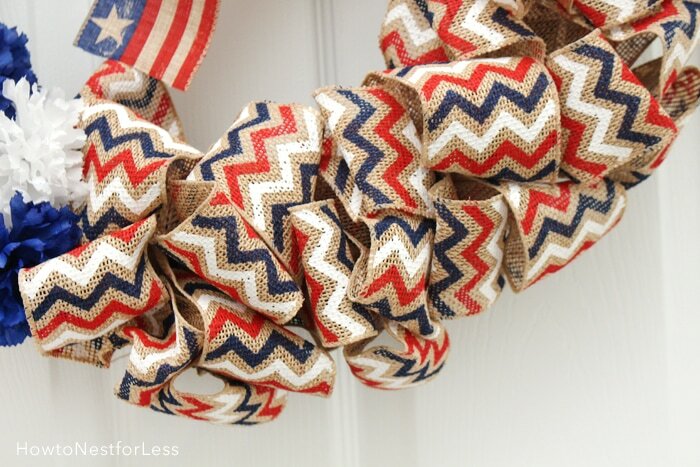 Pin it to the little empty space on your wreath. And that’s it. Pretty simple, I promise! 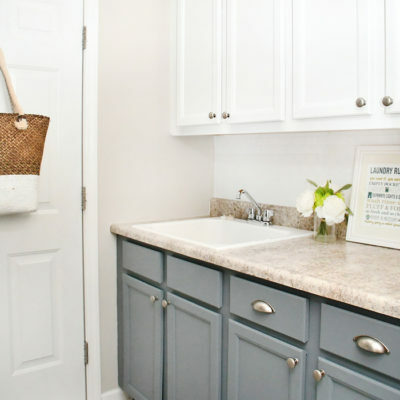 And you can always go back and fluff your burlap loops. Don’t worry if they don’t look uniform at first. 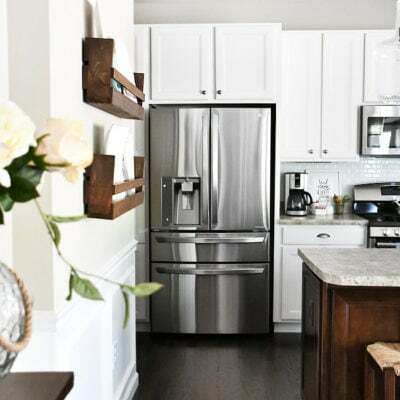 Also, you can repin if necessary. 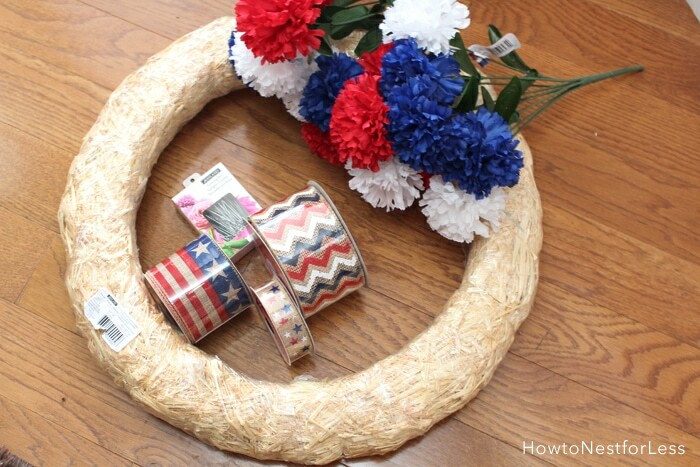 Seriously loving this new DIY patriotic wreath, and it took me under an hour to construct! 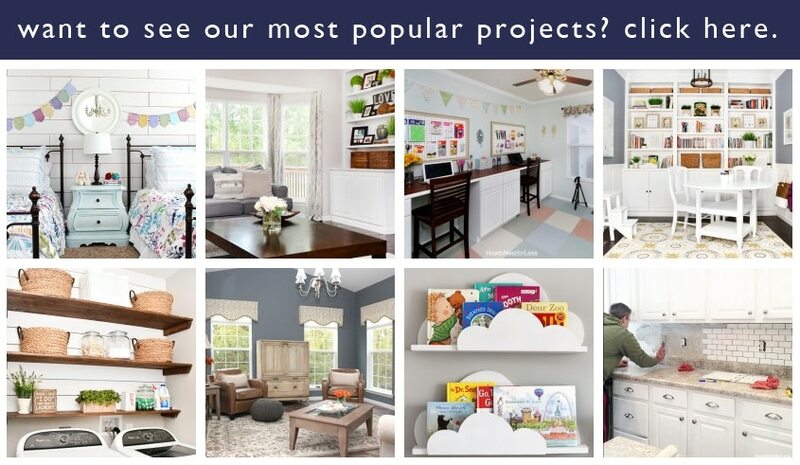 Look for sales on supplies though so you’re not spending a fortune. Grab those coupons or maybe even wait until after the 4th of July to snag stuff on clearance! Nothing wrong with making one in advance for next year!